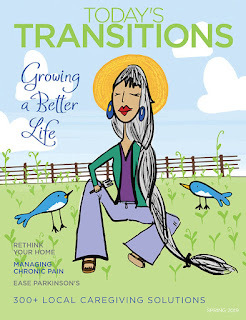 Today's Transitions Now: The New Spring Issue Is Out! The New Spring Issue Is Out! 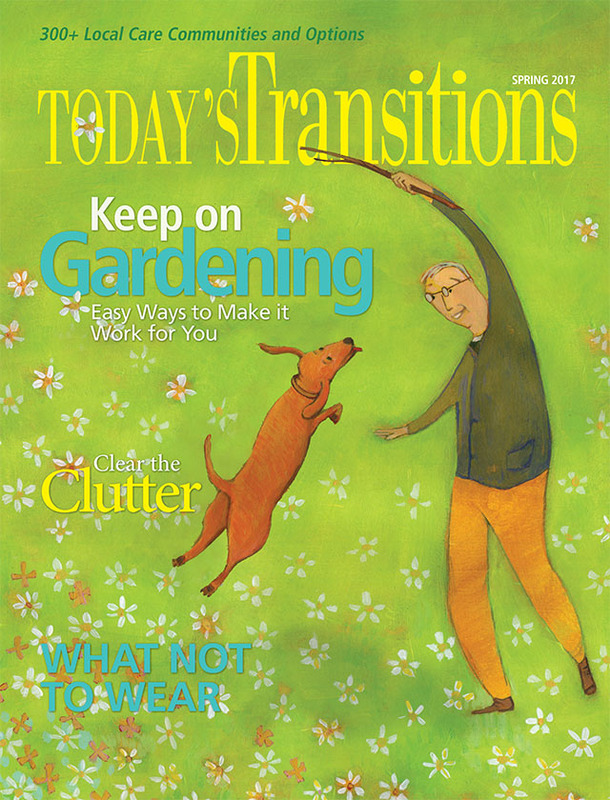 Spring has officially sprung, and Today's Transitions ushers in the budding season with a new issue, on stands now! Reinvigorate your wardrobe with these simple ideas (p24). Find practical ways to declutter your kitchen (p18). Learn 6 things you need to know about long-term insurance (p26). Enjoy Lunch Plus One, our plan for an easy lunch and nearby outing you can share with a friend or visiting relative (p6). Read expert advice on how to make gardening easier and more accessible, no matter the space (p42). Nominate a person, business, senior living community, or a nonprofit organization whose innovative ideas are making the aging process easier (p12). Grab a copy of the issue, sit outside with a glass of iced tea, and enjoy!